Imagine you ignore this free gift and failed to grab the potentials of achieving your ultimate goal of time, location, and financial freedom, within a relatively shorter time frame. No one would like to be that sort of pitiful person. But if you are a Webmaster or a business blogger or an affiliate content marketer and you are totally ignoring Google Webmaster Tools (GWT), then you are unfortunately in that position, unwittingly leaving stacks of cash on the table. No matter who you are, as long as you are a Webmaster you are provided the GWT, a web automation tool. This is the level playground created by Google. Ignoring this free tool is ignoring the path to success. In the advanced nations, workplaces are increasingly automated or robotized, and workers and professinals are kicked out from their jobs. Nevertheless, many of them are now working and earning from home, thanks to the Internet. But the Internet and all other components like web browsers, web technology etc. built around it could not be used effectively without the high technology of automation and robotization or call it artificial intelligent, if you like. The technological revolution of automation and robotization is part and parcel of the Internet and its other numerous components. Hence, ironically. we are better off embracing rather than condemning this mew technology, which in the first place has taken away our jobs. And GWT is one such technology that helps us build a better new life. This article will cover the most important and useful features of GWT and show you how to use Google Webmaster Tools effectively. Even if the scope of the course does not allow us to cover all its many other features, at least, it will help you understand its importance and become a GWT expert as you move forward. Once you have properly registered your site to GMT, Googlebot will easily find your contents and rank them accordingly. Apart from that, there are many other useful features and benefits to be described later in this article. So I hope, this much is suffice to motivate you to make good use of the Google Webmasters Tools. Enough of motivational talk and let’s get to the ground right away. If you prefer a video tutorial, don’t worry. You can watch this video first. You will find out that is is actually not that difficult. 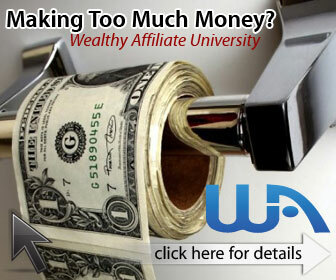 This is a free video tutorial of Wealthy Affiliate. So, first register your URL to GWT here.